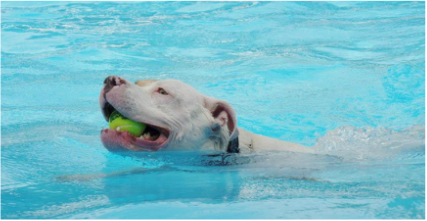 Saturday training class is open to Better Life Canine Center adopted dogs and their adopted families only. Class is 2-4 pm every Saturday rain or shine, hot or cold. The purpose for the class is continue to socialize and improve our dogs' behavior. Just as importantly, we work on training our owners to develop excellent handling skills and build their knowledge of dog behavior. Only motivated handlers who are eager to learn are allowed to attend Saturday sessions. BETTER LIFE DOG TRAINING. We Make Pack Leaders For Life. balanced home for all involved. To contact John call 586.549.8605. BLCC was featured on the World Animal Awareness Society series "American Strays." 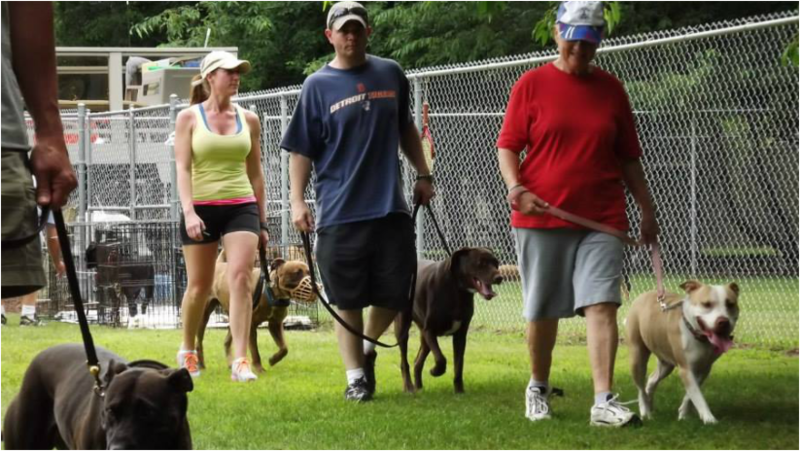 Remember, it's a fun way to train and socialize pups! 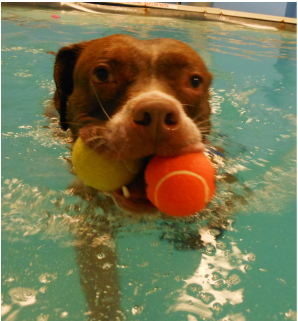 Some of our dogs love fetching in the BLCC pool like you wouldn't believe!